Facebook Confirms Data-Sharing Deals With The Huawei And Other Chinese Companies: Facebook Inc (FB.O) said Tuesday it has data sharing partnerships with at least four Chinese companies including Huawei, which is the world’s third-largest smartphone maker, which has come under the scrutiny from the U.S. intelligence agencies on the security concern. The social media company says Huawei Technologies Co Ltd HWT.UL, computer maker Lenovo Group (0992.HK), and smartphone makers OPPO and TCL Corp (000100.SZ) are among the 60 companies in the worldwide that received access to some user data after they signed contracts to re-create Facebook-like experiences for their users. Members of Congress raised concerns after The New York Times reported on the practice on Sunday, saying that data of users’ friends can have to access without the apparent motive. Facebook denies that and says the data access was to allow its users to access account that features on the mobile devices. More than a half of the partnerships have already wound down, Facebook said. It is said Tuesday it would end the Huawei agreement later this week. It is stopping other three connections with the Chinese companies. Chinese telecommunications companies have come under the scrutiny from U.S. intelligence officials who argue they provide an opportunity for foreign espionage and threaten critical U.S. infrastructure, something the Chinese have consistently denied. The news that Facebook provided privileged access to the Facebook’s Application Program Interface to Chinese device makers like Huawei and TCL raises legitimate concerns, and I look forward to learning more about how Facebook ensured that information about their users has not sent to the Chinese servers,” Warner says. Application Program Interface essentially specifies how the software components should interact. A Facebook executive says the company had carefully managed the access it gave to the Chinese companies. But we hope that the U.S. side can provide a fair, transparent, open and friendly environment for Chinese companies’ investment and operational activities,” Hua told the reporters. Earlier on Tuesday, the Senate Commerce Committee demanded that Facebook’s chief executive officer, Mark Zuckerberg, respond to a report that user data is sharing with at least 60 device manufacturers, weeks after the social media company said it would change its practices after a political firm got access to data from millions of users. Senators John Thune, the committee’s Republican chairman, and Bill Nelson, the ranking Democrat, on Tuesday, wrote to Zuckerberg after The New York Times reports that manufacturers were able to access the data of users’ friends even if the friends denied permission to share the information with the third parties. In April, the Federal Communications Commission proposed new rules that would bar purchases by government programs from companies that it says pose a security threat to U.S. telecoms networks. The move has aimed at Huawei and ZTE Corp (000063.SZ). China’s No. 2 telecommunications equipment maker. The Pentagon in May ordered retail outlets on U.S. military bases to stop selling the Huawei and ZTE phones, citing potential security risks. ZTE was not among the companies that received access to Facebook data, but it has been the subject of U.S. national security concerns. The letter asks if Facebook audited partnerships with the device manufacturers under the 2011 consent order with the Federal Trade Commission. It also requested if Zuckerberg wants to revise his testimony before the Senate in April. Facebook says it looks forward to addressing any questions the Commerce Committee has. 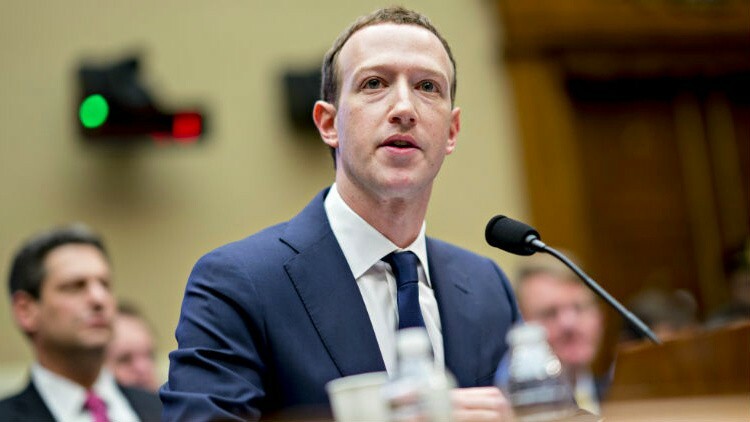 Facebook still has not answered hundreds of the written questions that are submitted from members of Congress after Zuckerberg’s testimony in April, according to congressional staff. The data sharing mentioned in the Times story was used over the last decade by about 60 companies, including Amazon.com Inc (AMZN.O), Apple Inc (AAPL.O), Blackberry Ltd (BB.TO), HTC Corp (2498.TW), Microsoft Corp (MSFT.O) and Samsung Electronics Co Ltd (005930.KS), Ime Archibong, Facebook vice president of product partnerships, wrote in a blog post on June 3. The FTC confirmed in March that it was investigating the Facebook’s privacy practices. Facebook also allowed Apple and other device makers to have “deep” access to users’ data without their consent, according to the Times. The Times said Facebook allowed companies access to the data of users’ friends without their explicit consent, even after it had declared it would no longer share the information with the outside people. Archibong says the data was only shared with device makers to improves the Facebook users’ access to information. These partners are signing agreements that prevented people’s Facebook information from users for any other purpose than to recreate the Facebook-like experiences. Regulators and authorities in the several countries have increased scrutiny of Facebook after it failed to protect the data of some 87 million users that was sharing with now-defunct political data firm Cambridge Analytica. Two Democrats on the Senate Commerce Committee, Edward Markey and Richard Blumenthal, on Monday also writes to Zuckerberg. Archibong says the cases were “very different” from the use of data by third-party developers in the Cambridge row. New York Attorney General Barbara Underwood said on Monday the “data-sharing partnerships with the other corporations” is part of the ongoing investigation into the reported misuse of Facebook user data by Cambridge Analytica. So, these are the points to describe on the Facebook confirms data-sharing deals with the Huawei and other Chinese companies. On the going through of the Article as mentioned above, please comment your suggestions.